The remains of the dinosaur were discovered near the village of Slantsevy Rudnik. This is where, in 1982, Vladimir Efimov discovered three large vertebrae that had fallen out of a high cliff. Later, in 1984-1987, three nodules of limestone fell off, which contained the remaining vertebrae. In his works, the head of the Undorovsky Paleontology Museum called the unusual finds "giant vertebrae of unknown taxonomic affiliation." Alexander Averianov said, "In the early 1990s, Vladimir Efimov showed photographs of the bones to Lev Nesov, a well-known Leningrad paleontologist. Lev Nesov thought that the vertebrae belonged to sauropods, giant herbivorous dinosaurs. In 1997, Vladimir Efimov published a preliminary note about this find in the Paleontological Journal. He referred to the vertebrae as a sauropod of the Brachiosauridae family. Last July, I finally managed to visit him in Undory and study the bones, and also managed to determine that they belonged to the new taxon of titanosaurs." "Previously, it was believed that the evolution of titanosaurs took place mainly in South America, with some taxa moving into North America, Europe and Asia only in the Late Cretaceous," explained the St. Petersburg University professor. In Asia, representatives of a broader group of titanosauriform, such as the recently described Siberian titanium, dominated in the early Cretaceous. 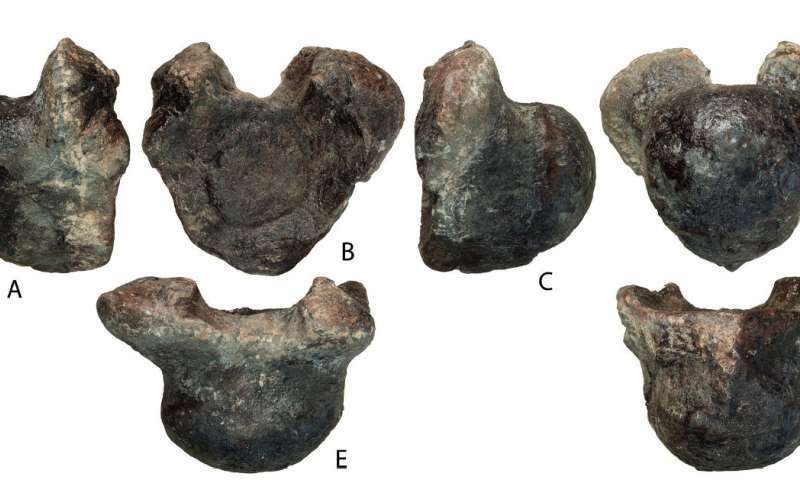 However, the recent description of the Tengrisaurus from the Early Cretaceous of Transbaikal Region and the finding of the Volgatitan indicate that titanosaurs in the Early Cretaceous were distributed much more widely; and, perhaps, important stages of their evolution took place in Eastern Europe and Asia."